Swiss International style gained traction after WW2. 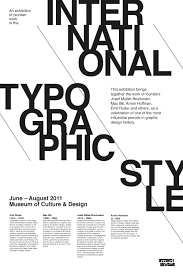 It emerged from earlier design styles like De Stijl, Constructivism, Bauhaus, and The New Typography, except unlike those movements, International style didn’t come with the historical contexts. This poster is influenced by the earlier one, as it is based on a grid and can is very legible. Both of these designs are very neutral, which was a trait of International style as Switzerland was a neutral country. 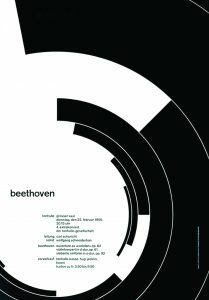 This poster is reliant on font weights, sans serif, and asymmetrical composition which is inspired from the first one in terms of design movements. Both of these are exhibition posters, which require clear and legible information which is why the second poster is suited to be done in international style.